When it comes to propane, safety and efficiency are two of the biggest priorities. 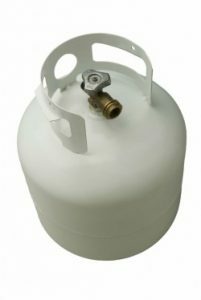 Whether using propane to heat your pool, or gathering around a propane grill during a summer barbecue, there are many uses for propane. Of course, when using propane in your home, safety for you and your family is the chief concern. Our North Texas propane experts at Northwest Propane can perform inspections of your pproducts, ensuring they are running safely and efficiently. As with most things entering your home, safety is our biggest concern. Our Railroad Commission-licensed service professionals will thoroughly inspect your current propane installation before pumping any new fuel. This will save you from worrying about propane safety. While there are many propane safety tips we’ve written about previously, a detailed seasonal inspection is a great start on your way to safety. Our inspections can also check for the efficiency of your propane system. This ensures you are getting the most for your money. In the case of propane water heaters, an efficiency inspection can make sure your monthly utility bills are as low as possible. That is something every homeowner can appreciate. Your two main concerns can be quickly taken care of, and your mind set at ease, with a seasonal propane inspection by Northwest Propane. As propane specialists, our main goal is to meet your propane needs, ensure your satisfaction, and exceed your expectations. With any questions, comments, or to schedule an inspection today, give us a call or visit us online.